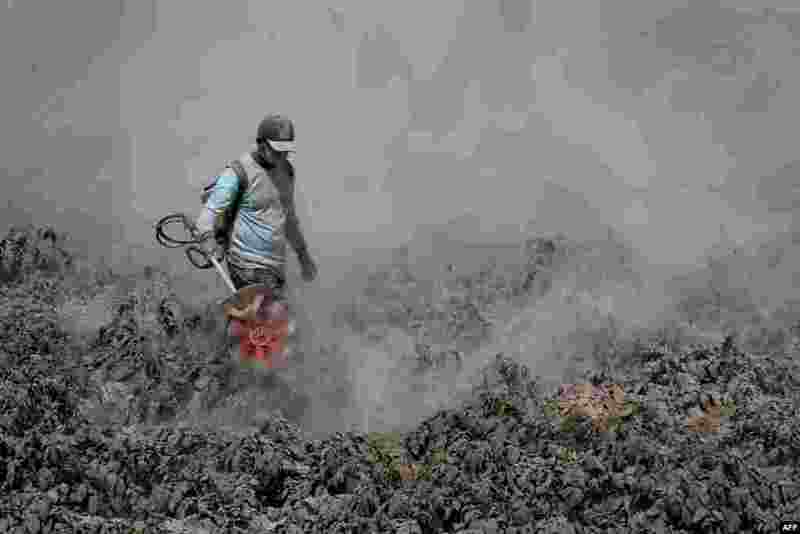 ۱ A resident of Karo district uses a lawnmower to remove ash from his vegetable fields in North Sumatra, after Mount Sinabung volcano erupted. 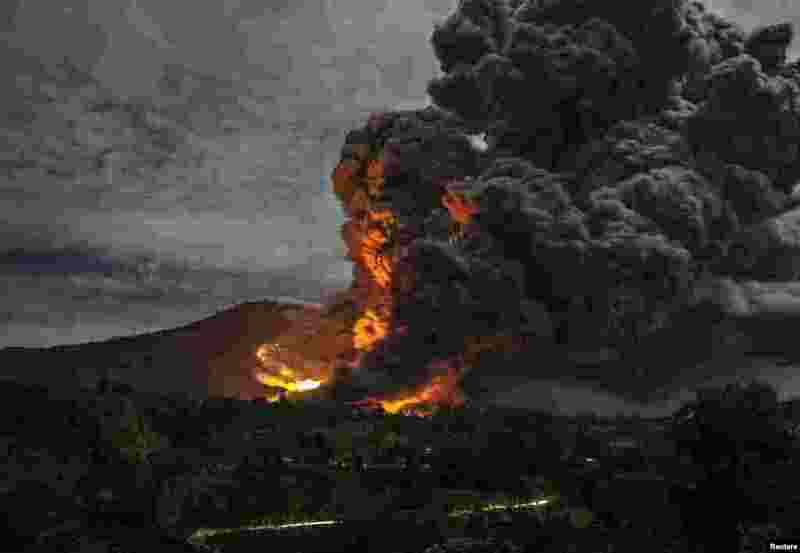 ۲ Mount Sinabung volcano erupts, as seen from Tiga Pancur village, Karo Regency in Indonesia's North Sumatra province. 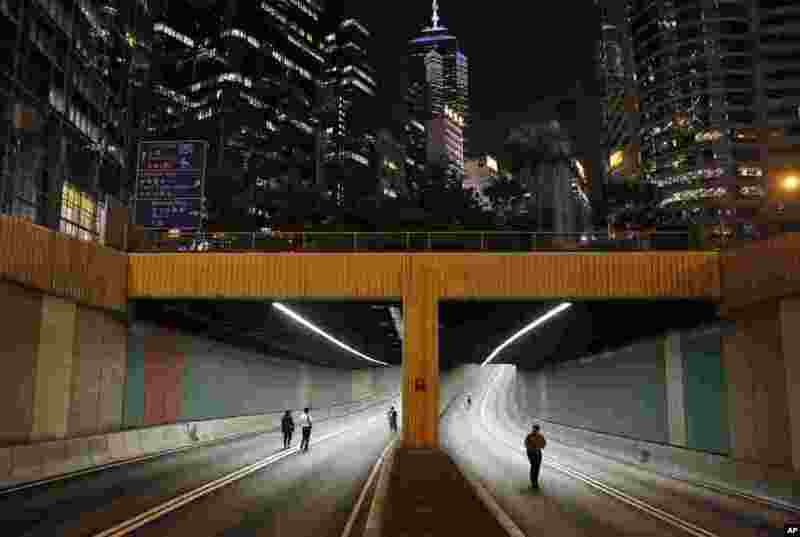 ۳ People walk through a tunnel on the main road in the occupied areas in Central, Hong Kong. 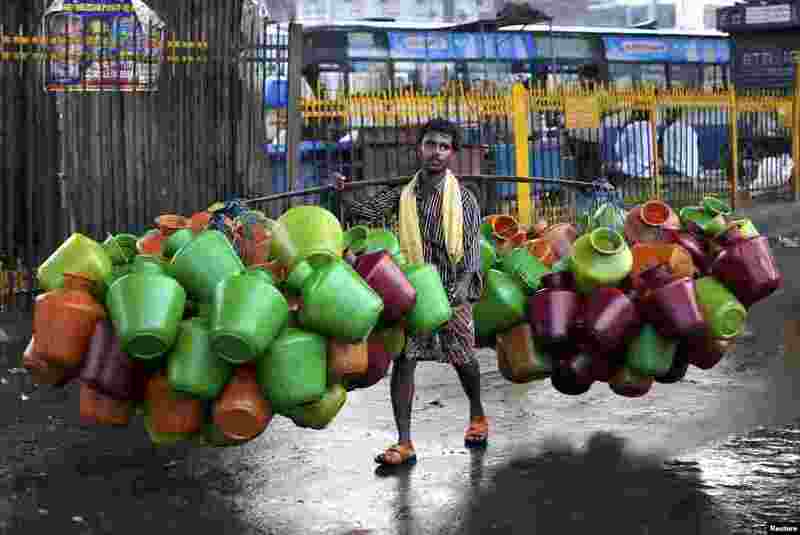 ۴ A man carries empty water pitchers for sale in a market in the southern Indian city of Bangalore.